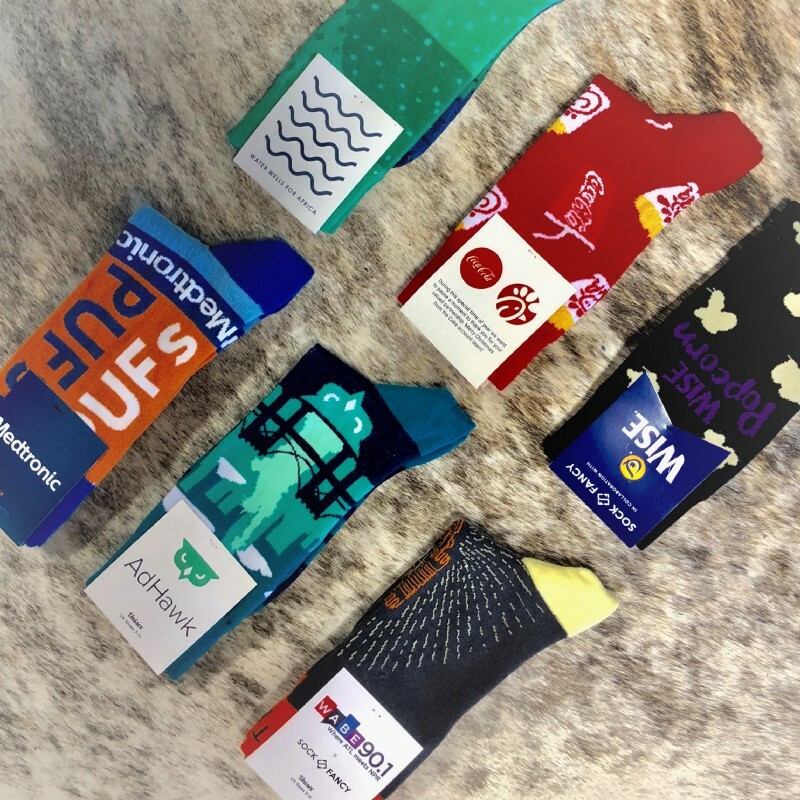 Custom socks have been big for us! About a year ago, we dove in head first and started to place a real focus on this aspect of our business. 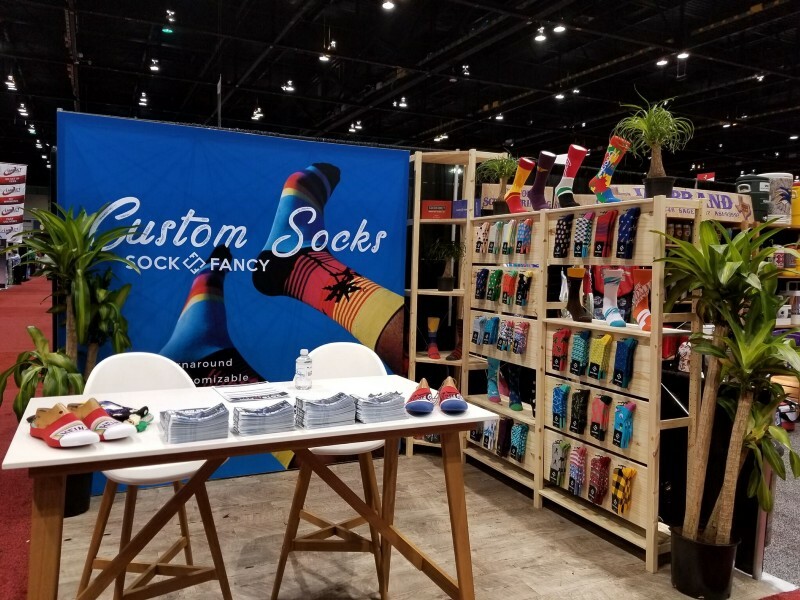 We've been lucky enough to work with some really awesome clients (we'll get into that later) and outfit over 30,000 people with custom Sock Fancy originals. Last summer, Stefan and Futhum (our co-founders) packed up and headed for the windy city to attend ASI Chicago. After a couple fun filled days and 30 lbs. 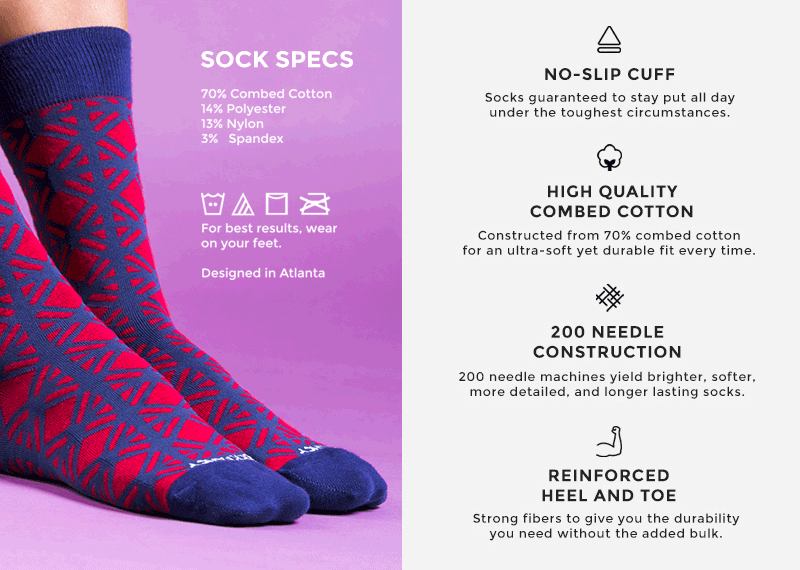 in pizza weight gain, they came back to ATL ready to hop on that custom sock train. Just a few months later, the guys were on the road to ASI Orlando to do the dang thing all over again. They were able to show up and show OUT with a ton of unique designs, catching the eyes of distributors and new clients alike. The result? These handsome fellas. I mean…waffle fries? Come on! The more custom pairs we design, the more we realize that companies and organizations are looking for something original for their team. They are upping the ante, phasing out the average t-shirt with a logo messily slapped across the front. Socks are useful, no doubt about that. But now, they’re cool. No longer are the days where socks are that “lame” gift from Grams. What better way to rep your brand than with a pair of custom swaggy (do people still use that word? If not, we plan on bringing it back.) socks? When the next opportunity rolls around to deck out your crew in something awesome, drop us a line. You’ll be the coolest boss/ coworker/ coach/ distributor around. Are you sick and tired of bae stealing your socks? Or are you constantly embarrassed by his worn-out Hanes that he's been wearing since the 10th grade? Hot Socks = The Key to a Successful Relationship? Close your eyes. Now, what comes to mind when I say "bedroom attire"? How about "satisfied partner"? I hate to be the one to break it to you, but if socks didn't pop up in your mind's eye just now, you might need to rethink your seduction strategy.